Today, we have a very special treat for you calc fans out there. I went out into the world, armed only with a notepad, calc, and 15 Nikkybots, in search of the fabled Joe Wingbermuehle. I came across him in the manner that has been spoken of in legends of yore, wherein he long-ago took his place deep inside of the forbidden zone where he sits atop a throne of computer hardware, holding a golden sceptre fashioned from the CAT5 cable of his vanquished foes. Also, he agreed to do an interview! A big thanks to Joe for taking the time out of his busy schedule to talk with us about where he is now and what he's been up to since his calc-programming days. Make sure to click through for the full interview, and take a few minutes to check out some of the awesome projects that Joe has been working with! First, I'd like to thank you for making the time to do this. I'm quite sure that your schedule is pretty full. So, to get started, I imagine that there are probably a number of people who are newer to the calc community who aren't as familiar as the older folks in terms of who you are . Would you like to give us a little bit of background with regards to your calc experience? Very true, I haven't done anything with TI calculators in a long time (probably 10 years I guess). Anyway, as I'm sure is the case with many others, I got started using TI-BASIC when I was required to get a TI-83 for high school (TI-82 was required at the time, but the TI-83 had recently come out). I also got a TI-92 around the same time, but I did more with the 83. I soon discovered z80 assembly language and wrote Diamonds as well as some other games and SOS. When the 83+ came out, I wrote the Breakout for the TI-92 and Diamonds for the TI-89. In addition to Diamonds and your (still very popular) shells, you wrote a lot of games that were responsible for my ailing scores in math when I was in highschool, such as your Jezzball clone, Orbix, and of course, Space War. Additionally, if I remember correctly, you even wrote a Chip8 emulator for the 83. That's a rather impressive breadth of coding interests, even for today. Was there a progression in curiosity for you, just a general interest in coding, or something else that kind of led you in different directions? I suppose I wrote quite a few of programs; I almost forgot about the Chip8 emulator. I don't know that there was any particular reason behind which programs I wrote. I just really liked to write calculator programs and spent a lot of time doing it. Perhaps it's strange, but I really didn't enjoy playing games much. There's something about writing code at that low of a level that I think is really fun. Unlike modern computer systems, or iOS devices, there are no layers of abstraction between the programmer and the machine. So for projects I would just pick something that was suggested to me or that I would think up. I especially enjoyed having other people use the programs I created (I suppose I still think it's neat), so, of course, I would try to write programs that others would enjoy. Ha, I was actually going to ask if you enjoyed playing the games that you made. You beat me to the punch. Can I ask, what other types of programming were you doing back then? I also wrote some DOS programs in 8086 assembly language, of course. I'm almost ashamed to admit this, but I did quite a bit with QBASIC and Visual Basic as well. Thankfully, I eventually saw the light and switched to C++ (and Linux). Until college, I put most of my energy into calculator programs, though. Most of what I wrote were games. Though I also had a fascination with compilers. There's nothing to be ashamed of with QBASIC :) I say that largely because of Black Annex. You've definitely made some strides outside of Z80 and 68K assembly. Notably, I'm actually pretty blown away by how far JWM has come in the past decade. Relatedly, you've really gone a long way since your calc programming days. Thanks. JWM was a lot of fun to write. There have been periods where I haven't worked on it very much, but I'm still actively working on it. And I'm using it right now, of course. So, to jump forward a year or two, would you care to share some of the work that you're currently doing? Also, as a side question, how long until we can call you Doctor Joe Wing? I've dabbled in several things, even iPhone development. Unfortunately, the iPhone isn't nearly as much fun as the TI calculators, in my opinion. One of my more recent projects include a computer made out of about 3000 discrete bipolar transistors (the Q1). I think it's neat to go from individual transistors to a working computer. That also allowed me to play with writing a simulator and assembler for my own architecture, which was a lot of fun. Another project was to implement an Altair 680 computer system on an FPGA. I still work on JWM, too. As far as my research interest is concerned, I've been looking into optimizing memory subsystems (cache hierarchies, etc.) for specific applications. I don't know for sure how long I have to go, but I guess I can say that it will be at least another year, but hopefully not much longer than that. Yeah, I find the Q1 to be especially impressive. I think that it speaks very strongly about your interests and abilities. I'm going to make sure to link the Q1 Fibonacci sequence -- pretty mesmerizing. To kind of tie some of these concepts together, I would be curious to hear your thoughts on if/how you feel your early experiences with calc programming shaped, contributed to, or informed the way that you approached software and computers as you progressed through your educational career up to where you are today. There's no doubt in my mind that calculator programming was instrumental to getting me to where I am today. I enjoyed programming before being introduced to calculator programming, but being exposed to z80 (and 68k) assembly language sparked my interest in the low-level details of how computers work. The experience of coding at that level was very useful as well. I suppose there are other ways to be exposed to assembly language, but none as rewarding as calculator programming. Interestingly, I find that a good number of people with any assembly language experience at the higher education level have started off with z80 assembly -- I imagine largely due to its accessibility via calcs, in addition to the processor's history in various hardware configurations throughout the years. That is to say, among people who haven't already been in the field for more than a couple of decades. 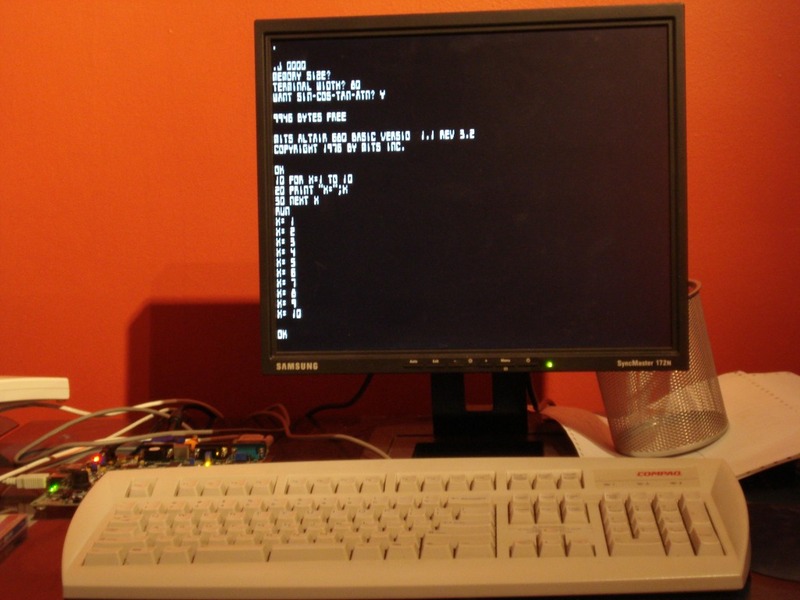 Certainly, I think older computers that used the 6502 or z80 are much more approachable than modern computers as far as low-level programming is concerned. I guess calculators help fill that role now. I think even if someone doesn't program computers for a living, there is a lot of value in being able to code even a little bit. Computers are everywhere today and used for just about everything; I can't imagine that becoming less of a reality. In addition, being exposed to programming might show someone that they actually like it. Even if someone doesn't ever touch a computer though, the thought process required for programming is a valuable skill. So I guess I would be in favor of promoting TI-BASIC in middleschool and highschool. I don't know that TI-BASIC on a calculator is necessarily the best platform, but it's pervasive today and TI-BASIC is fairly easy-to-use, so I think it is good for getting started. Yeah, there are certainly some great languages out there for young people to learn coding these days, although TI-BASIC is accessible to students of most math curricula regardless of having a computer at home, etc. We should probably get to wrapping it up here. I've got two more rather softball questions for you, if you're interested. Softball question the first: What are some of your hobbies and passions outside of technology? Well, I'm really kind of a nerd, and this isn't going to help my case, but I do like playing piano and classical music in general. Excellent choices :) And finally, is there anything else that you would like to add? Any personal projects that you want to share, or any extra thoughts to share with the readers, or even a "Hi, Mom!"? The floor is completely open. Outside of my research and JWM, I don't have many new interesting personal projects, unfortunately. I would like to thank you for taking the time to interview me. I'm happy to see that ticalc.org is still going strong and I hope it continues to do so. Hopefully TI calculators will continue to inspire programming like they did for me! To me, Joe will always be the person who made Ion. That's the application that really got me excited about calculators and programming, and it's awesome that he's still doing great things! A few years ago I was looking at a new window manager and happened upon JWM. After a few minutes, I suddenly realized that the 'Joe' was the same Joe who wrote calculator programs. Wow, I didn't know that. I learned something today. Haha, I still remember the day when we met in Amsterdam back in 2006... Good times! Joe is a living legend, I will be forever grateful for his work. Absolutely agreed. Without his tireless inspiration I doubt many of us still holding down the fort would be here today. Thanks for the dedication and the interview, Joe! I agree, ion in particular changed everything. Being able to assemble games for both the 83/83+ was a nice way to settle all the arguments when the 83+ first came out and open it up to tons of great games and programs. Great article, one of the best I have read in a very long time. Joe is certainly a genius. I particularly like the Q1 project. I did a similar project, on a smaller scale, when I was in high school back in the late 60s. Great work. If Joe isn't already a doctor, he certainly deserves the title.